Ranking better in YouTube with YouTube Playlist SEO, Video SEO can help boost views and grow a YouTube Channel. YouTube Playlists are often overlooked but can be a very powerful tool to boost your youtube channel views. Playlists help hook viewers into a session, extending YouTube watch time which has a positive effect on the authority of your channel. 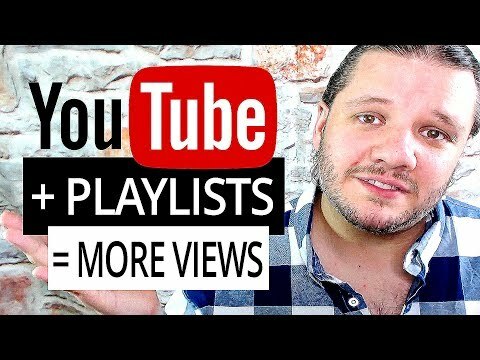 How Does YouTube Playlist SEO Help You Rank Better & Make More Money? YouTube Session Time is an important factor in the way YouTube promotes your channel. It is in YouTube’s best interest to help channels that actively drive new users to the site and keep them engaged for longer. The longer a user in on the site the more advertisements they can be shown and the more money it can make for its parent company Google. How Does YouTube Playlist SEO Boost Views? Playlists can help attract users users to themed videos or niches. If you have a collection of 5-10 videos all about a set topic and putt them all in a playlist it helps YouTube learn that they are related and can increase how often they are suggested against each other on the right hand right of the video. You can also use SERIES PLAYLISTS that has an even stronger effect on what is auto played as YouTube are told that not only are they are related but just like a TV program that best viewed in a set order.